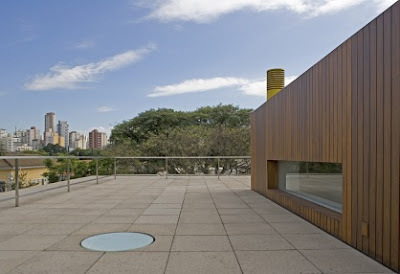 Now I realise that many people have this fantastic residence by one of my top 3 Brazilian residential architects up on their website and there's very few posts of his other houses. I'll see what I can do later on, but I thought for now I'd put up my version of Isay's Maroon house. You just can't help post this guy's attention to detail and impeccable finishes. 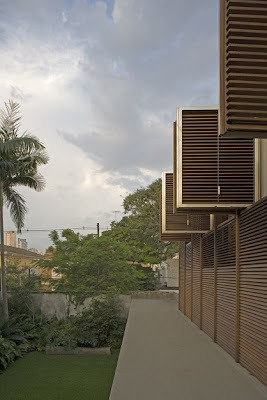 I'm even more envoked as I know what it's like trying to get anything built with quality in Brazil. 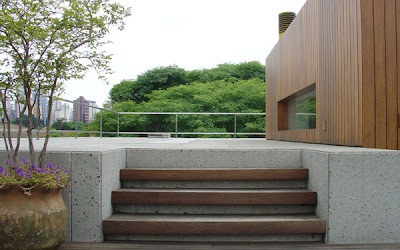 Unfortunately no floor plans for this work but the colourings, rough cast concrete with brown Ipé wood look fantastic. 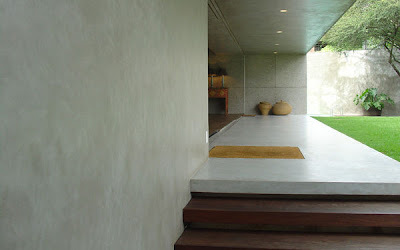 And what concrete, so super smooth with their 45 deg edges finished to perfection. 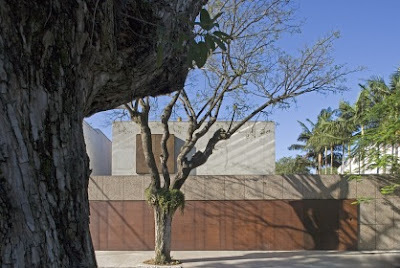 The latest Brazilian houses seem to be pushing the limits with concrete spans. 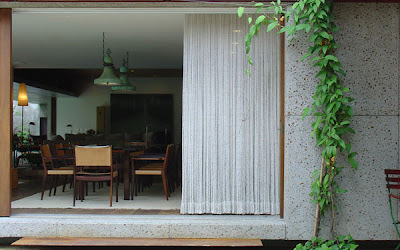 Door openings and huge panoramic windows seem to run the entire length of nearly every wall of this house. 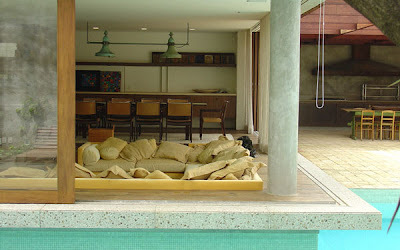 I'm also a fan of the sunken living area, which levels you up with people standing in the swimming pool outside. 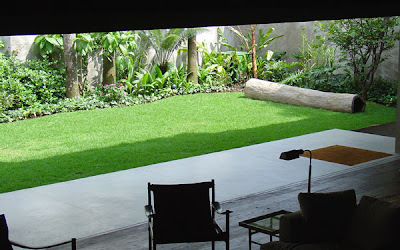 The house is built to have private areas for their two teenage kids and a common entertaining area with outdoor churrasquería and then above, private bedrooms and a more intimate private lounge. Works for me! 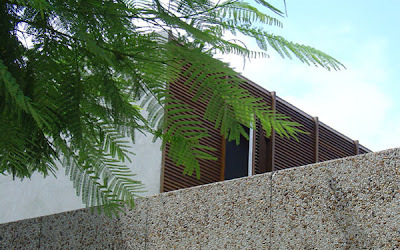 My favourite house of his the Casa Suiça, with a living room almost 3 stories high and twice as wide, opening out to the back yard. 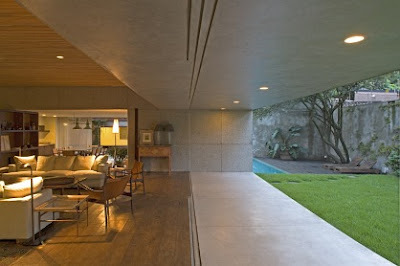 His open plan spaces even top Arthur Casa for glass spans, only beaten by Marcio Kogan who seems to make entire walls of houses open up onto pools or patios. 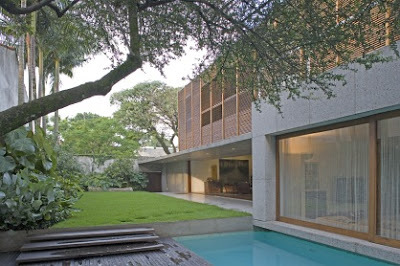 He is by far my all time favorite architect. 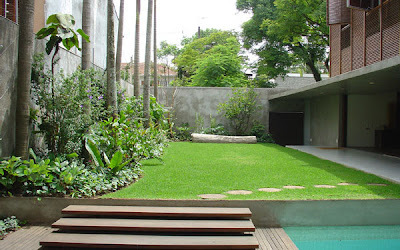 I had first read about him when he designed Casa Cinza for a Brazillian fashion designer. If you know of any good books on his work. Please post them. 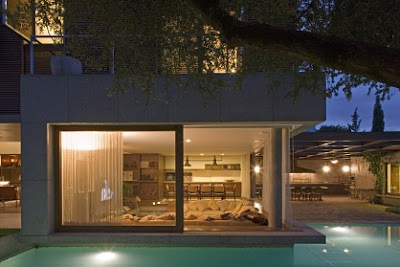 I would love to know more about that amazing house.